Our first customers have arrived at the Mara River Corto Private Camp this month and had a lot of fun… Indeed for the first time ever, Corto has set up a camp at the Kenyan border. on the shores of the Mara River. This new observation post has allowed our customers to take some wonderful pictures. Come and see them on our Facebook page. The mass of Wildebeests, Zebras and other herbivores comes up the Serengeti plains and crosses the River from South to North on its way to the Kenyan Masai Mara. For the true lovers of this intense animal activity, we have put online a 4 day Migration Safari in Tanzania. This will take you straight to the Serengeti, from Arusha, by plane. 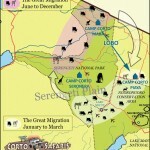 A new Tanzania Safari special Migration with Corto. Find yourself at the heart of the Great Wildebeests Migration in the Serengeti – and do it in style – with top quality accommodation – such as the Tarangire Treetops, the Ngorongoro Crater Lodge, the Kempinski Bilila Lodge and the Asilia Sayari Camp. Our very experimented guides, our know-how and our very well equipped 4×4 vehicles are as always there during your stay. Tonight on Arte, a documentary on the Serengeti’s Great Migration of the Wildebeests and the Mara River crossings between Tanzania and Kenya. A must-see documentary. Corto is pleased to remind our customers and followers that we are one of the very few companies with a tented camp in this area. 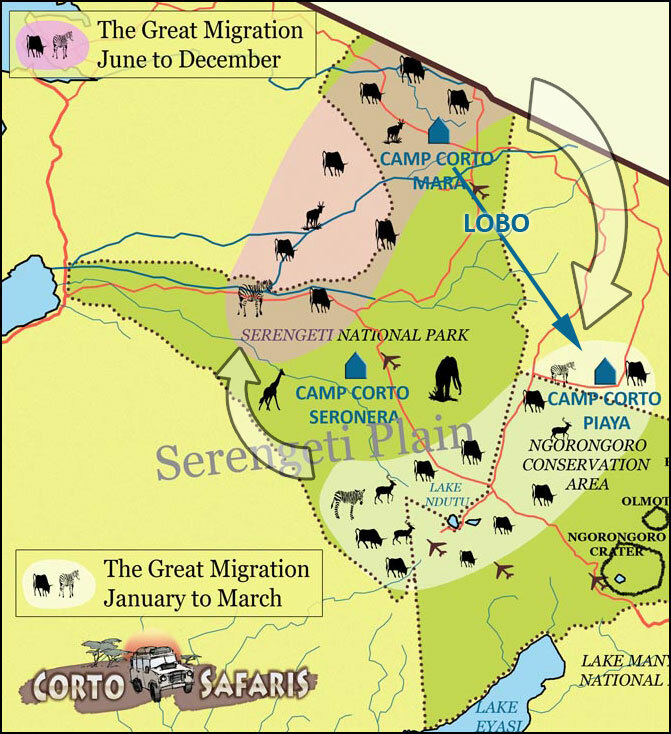 Please visit our pages on the Serengeti Great Migration and our Corto Camp Mara. We even have migration safari sample itineraries online.